What is the central aim of meditation? Why do we sit? And how can our lineage serve as the blueprint for our survival? When we allow ourselves to return to body, we can imagine a world without prisons, war, capitalism, and police violence. We can bring into manifestation the world we want to see. And we can experience joy with every breath. Hear Charlotte’s journey into mindfulness and fiction. *The last 10 minutes of this interview is also a guided meditation. Recommended books: Octavia’s Brood & Angel Kyodo Williams - Radical Dharma: Talking Race, Love, & Liberation. Charlotte Nguyễn is a meditation teacher, spiritual advisor, activist and a safe space. 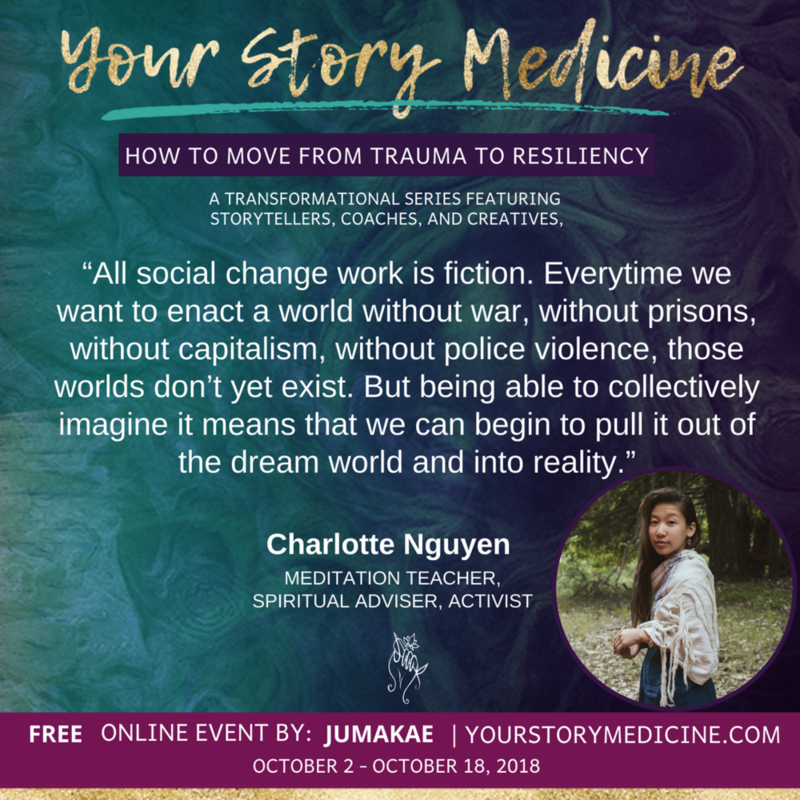 Coming from a Southeast Asian background, spirituality and mysticism have always been part of her experience; but like the children of many immigrant families, survival was the guiding force that shaped her early years. After the death of her first love in 2006, she began a quest to be free from suffering. Meditation, sacred movement, tea and community each played a role - weaving together her love of spiritual practice, social action and creative expression. She now facilitates healing justice programs as the creator of Get Free!, a creative consultancy that helps changemakers and visionaries become more inspired and emotionally healthy through mindfulness. She is blessed to serve and share this practice which has so profoundly changed her life.